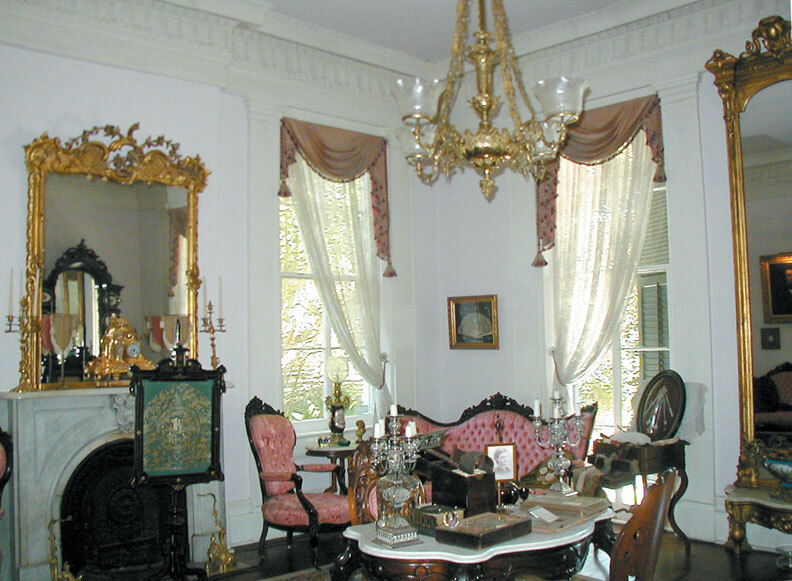 McRaven House, in Vicksburg, Mississippi, was begun in 1797 by Andrew Glass, a highwayman who robbed travelers on the Natchez Trace and died at the hands of his wife. The oldest structure in Warren County, it is an odd mix of three different building styles — Frontier (1797), Empire (1836), and Greek Revival (1849). 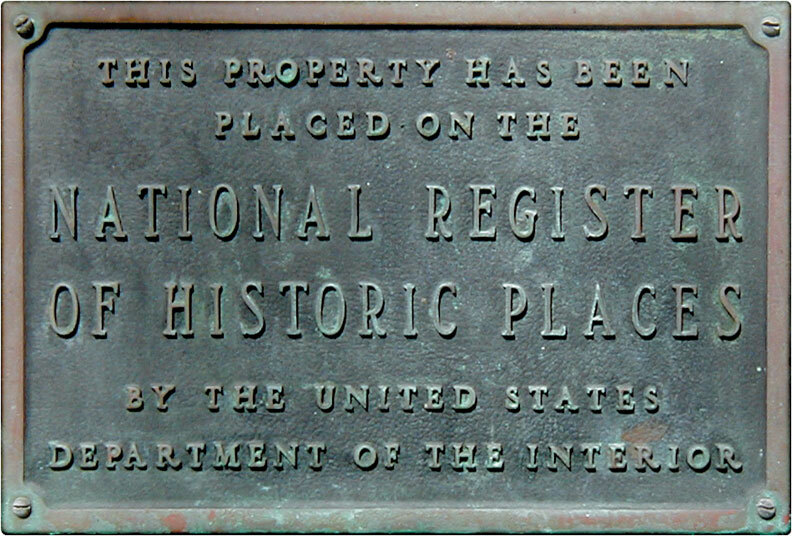 McRaven is also considered the third most haunted house in the country. Named after a small community that is now a part of Jackson, McRaven has seen its share of Vicksburg history, serving as a hospital during the siege of Vicksburg as well as the Union headquarters after the surrender. 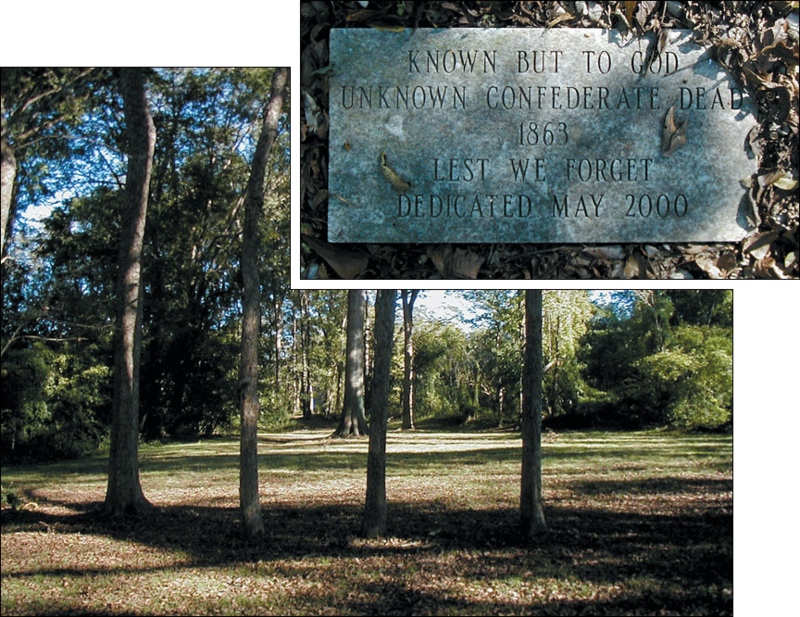 Located about one mile west of the Vicksburg National Military Park’s Railroad Redoubt, fortifications on the east side of McRaven were part of the Confederate defensive works situated along the route of the Southern Railroad of Mississippi. 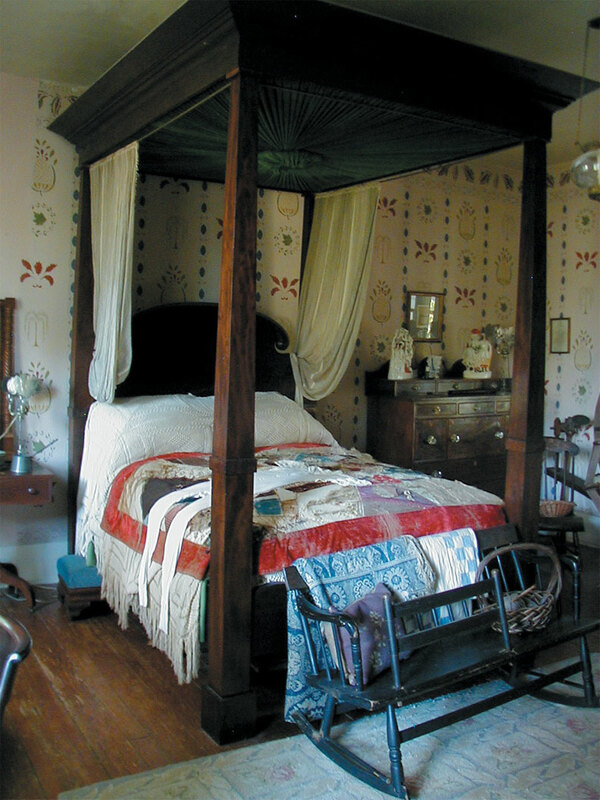 Occupied for many years by sisters Annie and Ella Murray, the house is currently owned by Leyland French, whose ancestor brought us French’s Mustard — first introduced at the 1904 St. Louis World’s Fair. 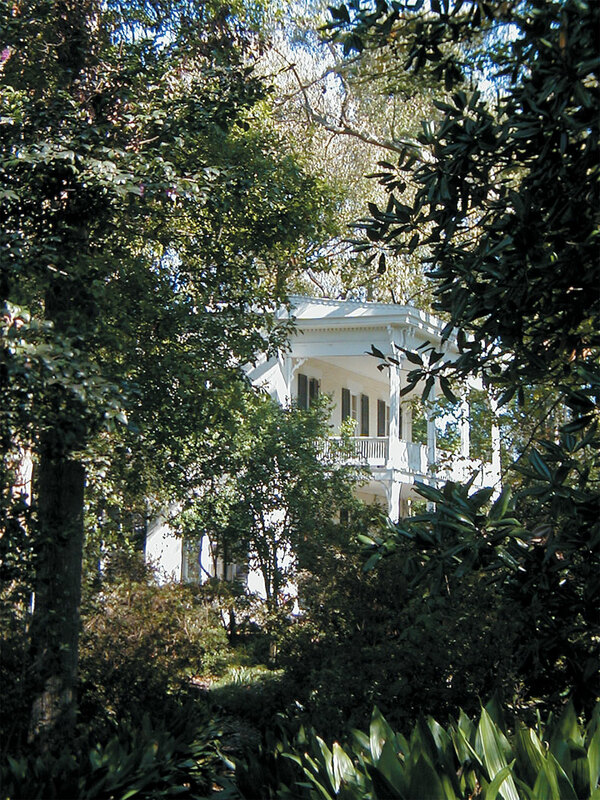 Hidden among the azaleas and magnolias, McRaven has been witness to much of Vicksburg's history. The landing of the home’s main staircase, a flying-wing design built with cantilevered supports, displays one of the many works by American sculptor John Rogers that can be found in the house — his work served as a record of the time. Titled "Is It So Nominated in the Bond? 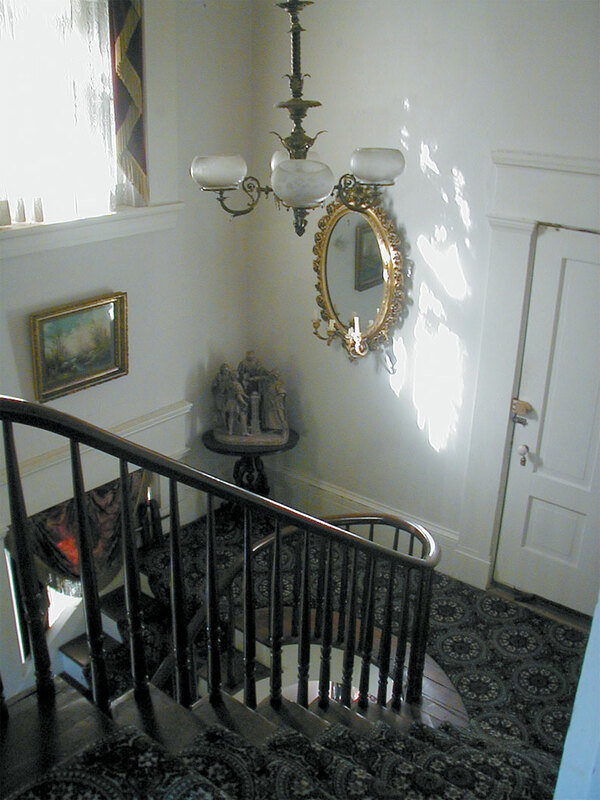 ", this piece on the landing commemorates the theatrical appearance in Vicksburg of the Booth family. They performed in Shakespeare’s “The Merchant of Venice,” six weeks prior to the assassination of President Abraham Lincoln by family-member John Wilkes Booth on April 14, 1865. 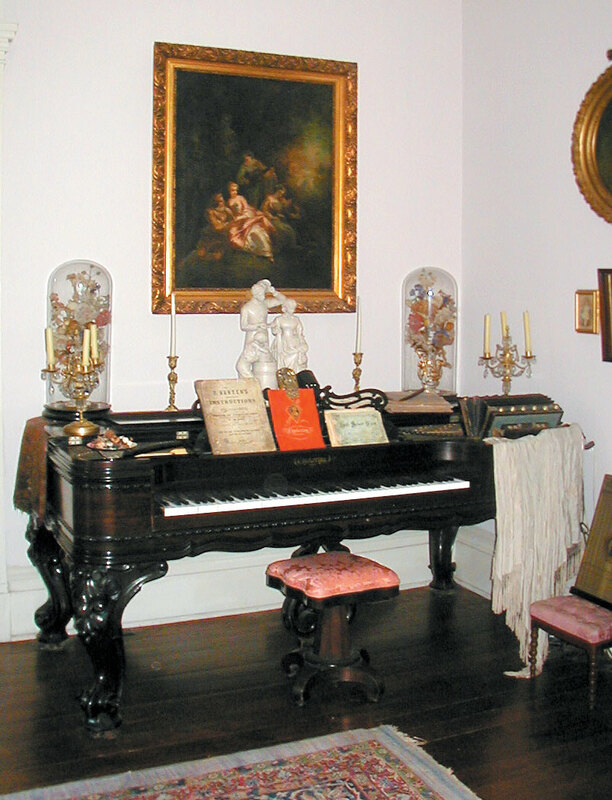 The parlor (above), the center of social life for the household, features a 1853 Chickering piano (below, left), one of America’s earliest and most popular piano brands. Under bell jars atop the piano are silk flowers placed there in 1853. Music, games, and magic lanterns were several of the main forms of entertainment for the time. 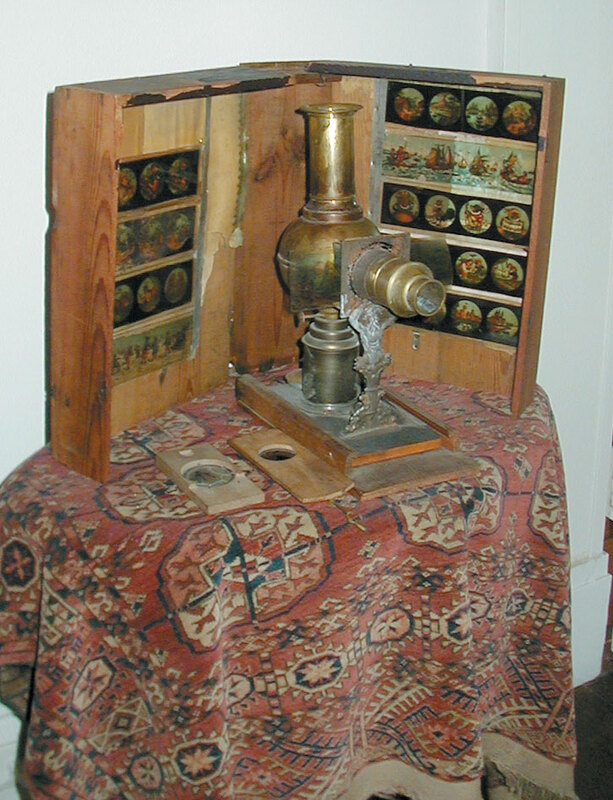 This magic lantern (below, right) was fueled with whale oil. Mah-Jongg was a popular parlor game in Europe in the 19th Century, not becoming widely played in this country until the third decade of the 20th Century. The binoculars are exhibited elsewhere in the house alongside other Civil War-era items, several of which are quite surprising. 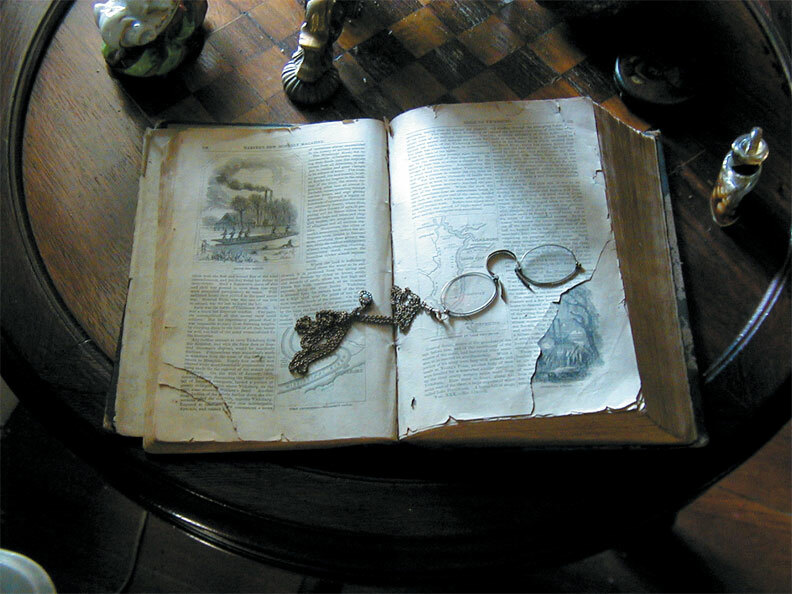 Found in the parlor (above), Harper’s New Monthly Magazine is turned to an article entitled “Heroic Deeds of Heroic Men,” an 1865 account, written by John S. C. Abbott, of the Union forces’ attempts to take Vicksburg during the Civil War. Click here for that same article as a PDF file, courtesy of the Library of Congress. 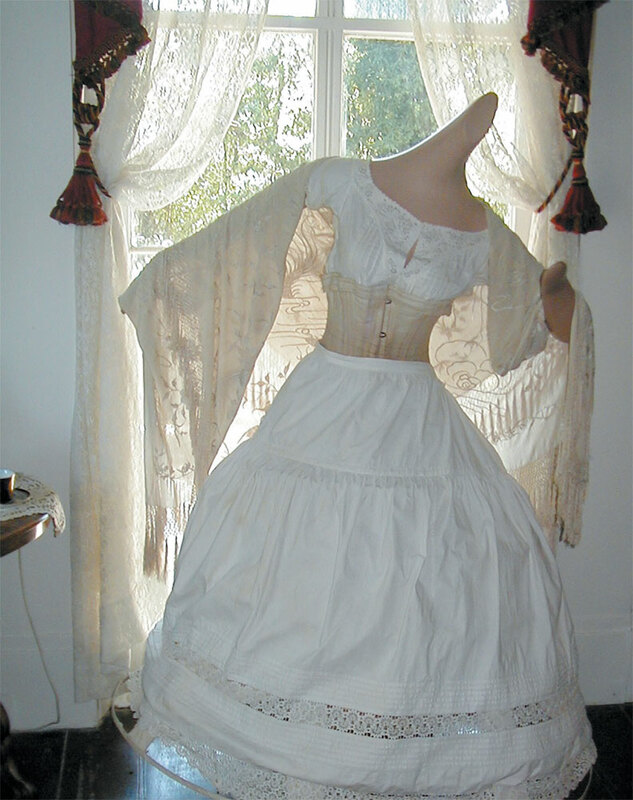 A display of Victorian undergarments is found in the master bedroom. 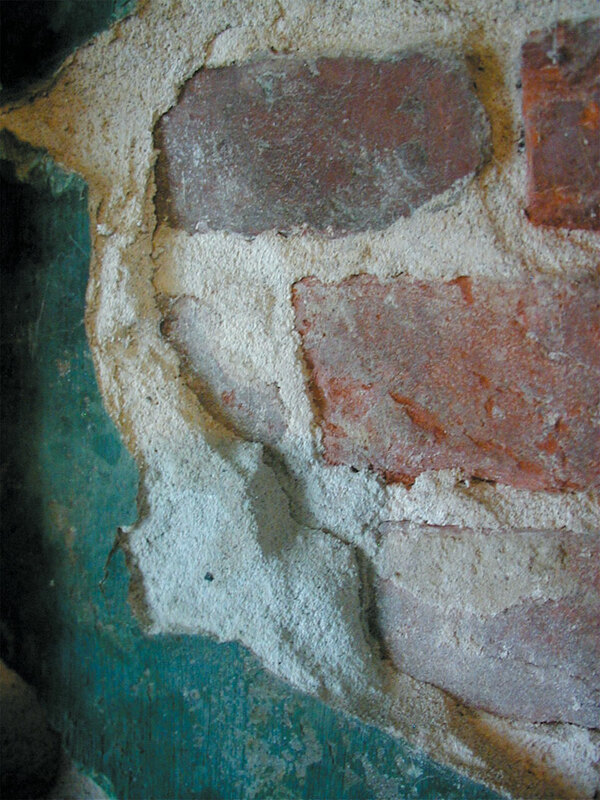 This served as the cover for our Winter 2004–2005 issue. 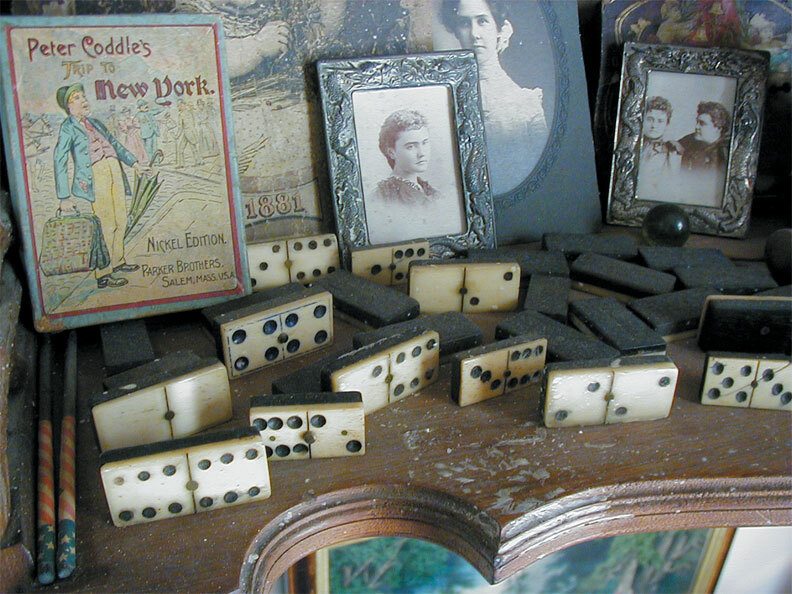 These photos and dominoes (left) are found in the gentleman’s dressing room upstairs and this insect-shaped cast-iron bootjack, a device for holding a boot by the heel to ease removal, (right) in the 1836 bedroom (below) where one of the house’s many ghosts has been seen. The east lawn (below, left) was used as a Confederate encampment during the Vicksburg Siege and has played host to re-enactments. At the far end were trenches used for the defense of the railroad (see map) that runs along the south side of the property (to the right in the photo below). The simple memorial found in the lawn commemorates the men who gave their all for the cause they believed in so strongly. 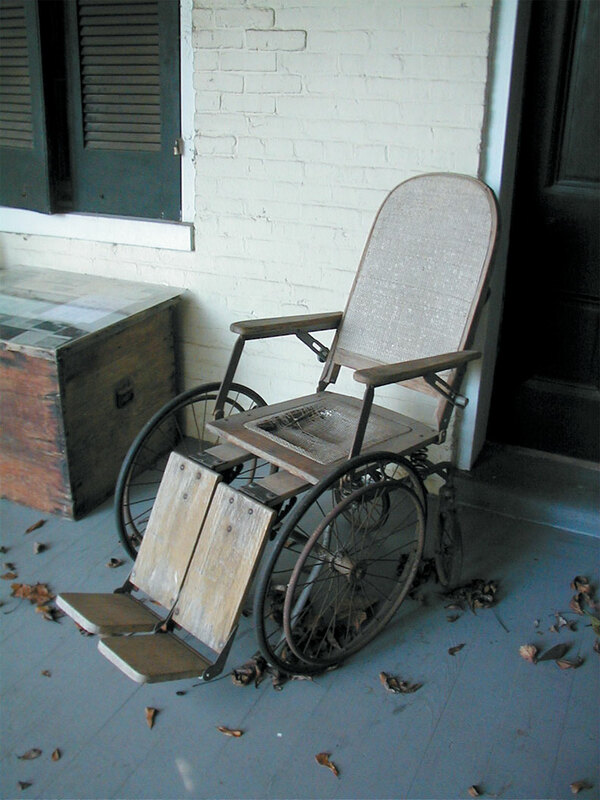 This wheel chair (below, right) was donated to McRaven by the Sisters of Mercy, who operated a girls’ school in the house prior to the Civil War. 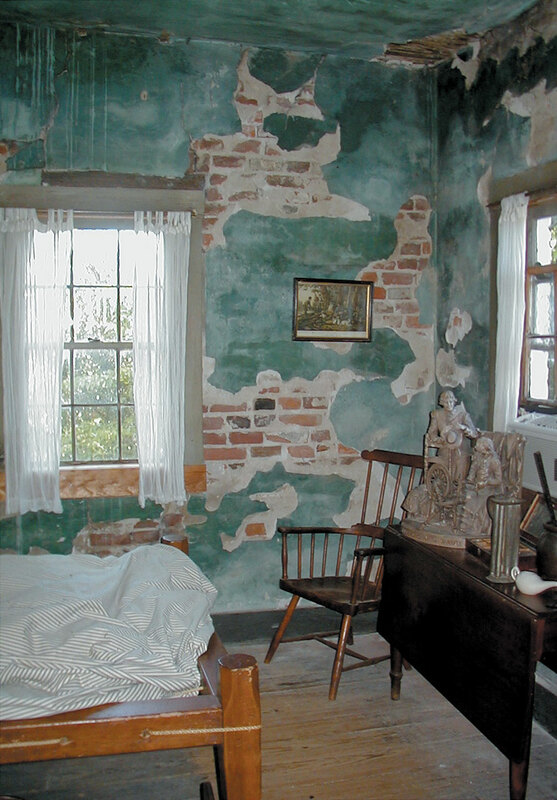 The original paint, made from crushed blueberries and buttermilk, coats the inch-thick sand plaster on the brick walls in the 1797 bedroom (below). 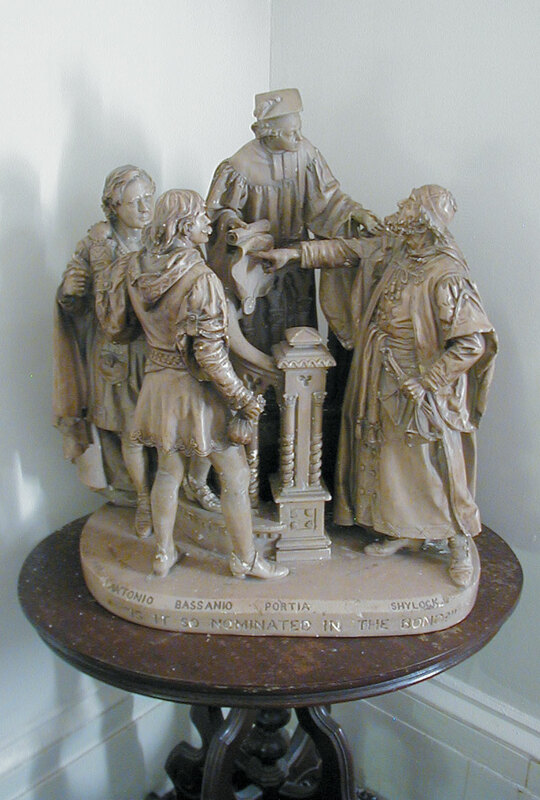 Another of Rogers' sculptures can be seen in the corner — this one is titled "Why Don't You Speak for Yourself, John?" and depicts the courtship of John Alden and Priscilla Mullins. 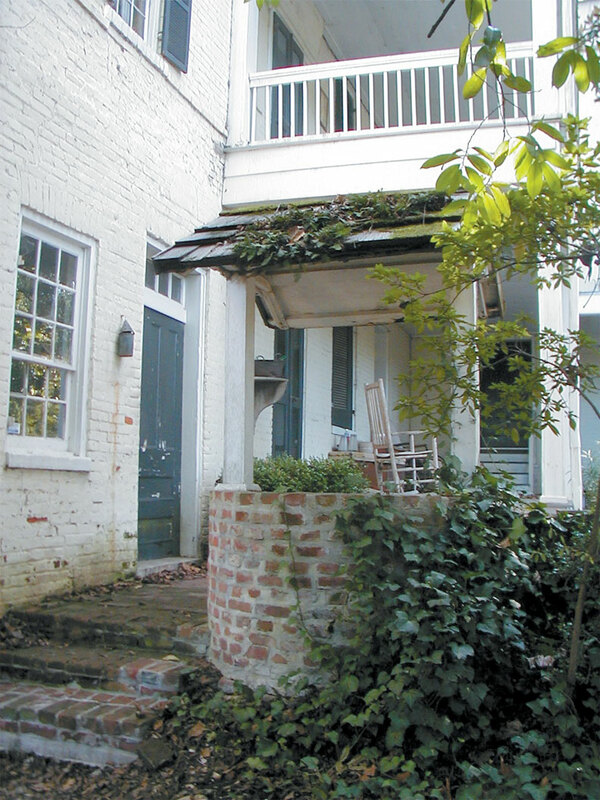 The 1797 kitchen (below, left) was remodeled once in 1849 and used by the Murray sisters until 1960. 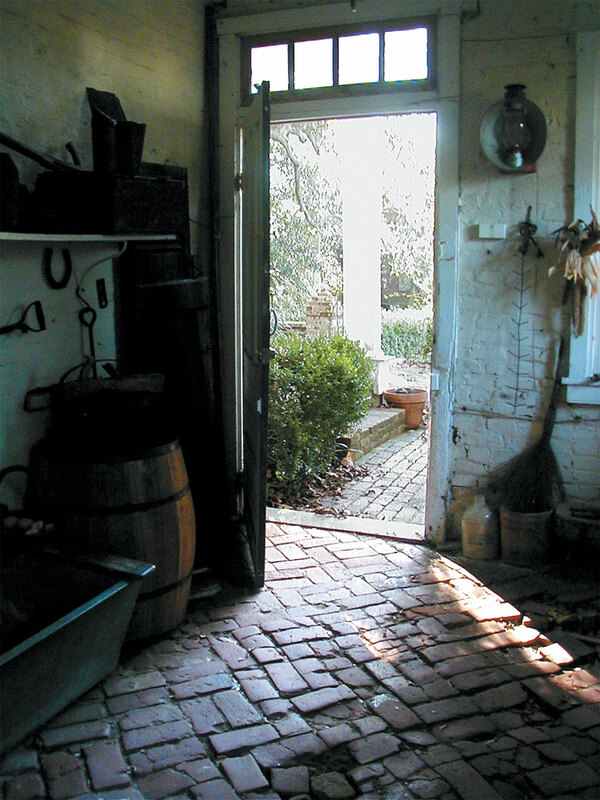 The outside entrance to the kitchen can be seen to the left of the cistern (below, right). Open from March through October, 9 am until 5 pm daily, 10 am until 5 pm Sunday. For more information and for tour reservations, call 601-636-1663.